The government of Imo State has alleged that Mr. Charles Oputa aka Charly Boy, Convener of OurMumuDonDo Movement, was hired by the enemies of President Muhammadu Buhari and Mr. Rochas Okorocha, Imo State governor, to damage the reputation of the two men and their administrations. The allegation was made in a statement issued by Mr. Sam Onwumeodo, Chief Press Secretary to the Imo State governor. According to Mr. Onwumeodo, Charly Boy was hired by Mr. Okorocha's opponents in 2014 and premiered his attacks on the governor during the burial of his father, Justice Chukwudifu Oputa. The attack, said the state government, was after Charly Boy had received financial support from the government for the burial of the late jurist. The Imo State government alleged that Charly Boy was recruited this year by opponents of President Buhari, who wanted to exploit the illness of the President through the demand for his resignation by protests headlined by OurMumuDonDo Movement. Aside from the financial support extended to Charly Boy, the state government said it built the road to his late father's house as well as a High Court Complex named after the jurist. "Charly Boy personally came to Government House to collect. But before the burial, they told him that the former President had directed that he should not allow Governor Okorocha to talk at the burial service, not minding that protocol demanded that the governor should talk. Till date, it added, Charly Boy has not apologized to Mr. Okorocha and has continued to attack the administration of the governor. The former President of Performing Musicians Association of Nigeria, the state government equally alleged, was at the weekend in Owerri, where he insulted Mr. Okorocha. This, said Mr. Onwumeodo, was part of the script. "He deceived some notable Human Rights people like Professor Chidi Odinkalu into coming to Owerri over the relocation of Ekeukwu Market without such innocent figures knowing he was recruited since 2014 against Governor Okorocha. He looks for every opportunity to malign the governor," he said. Mr. Onwumeodo wondered if President Buhari was the first president to be ill for OurMumuDonDo Movement to demand his resignation. "It is important to ask Charly Boy where he was for the 16 years the previous administrations mismanaged the fortunes of this country. 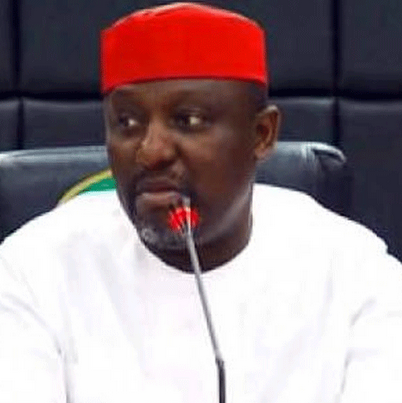 And they have so greatly empowered him that today, he moves in lengthy convoy with not less than 15 assorted jeeps with an avalanche of security aides who look overfed," said the Imo State governor's spokesman.